Sandra Venneri has a Bachelor of Science with Honors (B.Sc. (Hon)) in Nutritional & Nutraceutical Sciences from the University of Guelph (yes that’s a mouthful!) with a specialization in Biomedical Sciences (pre-med) as well as all of the dietetic university courses. She is also one of the lucky ones in Ontario to be a registered Professional Home Economist (P.H.Ec.). Think of all the things to do with Home Ec (the traditional like cooking, recipe development and family health as well as the current trends of couponing, work-life balance and community development). A Niagara native, her life path has been a winding road and allowed her the opportunities to work with Agriculture & AgriFood Canada, OMAFRA, Canada Beef, ‘NSTEP, Agricorp, Reif Estate Winery, as well as several research and teaching opportunities. Sandra has helped run and fund student snack programs, competed in a pseudo-Dragon’s Den (article in the London Free Press) and presented to several groups on nutrition and health. She was a speaker for the Ontario Snack Program Conference as well as a Metro Green Apple Grant recipient for a program she designed. 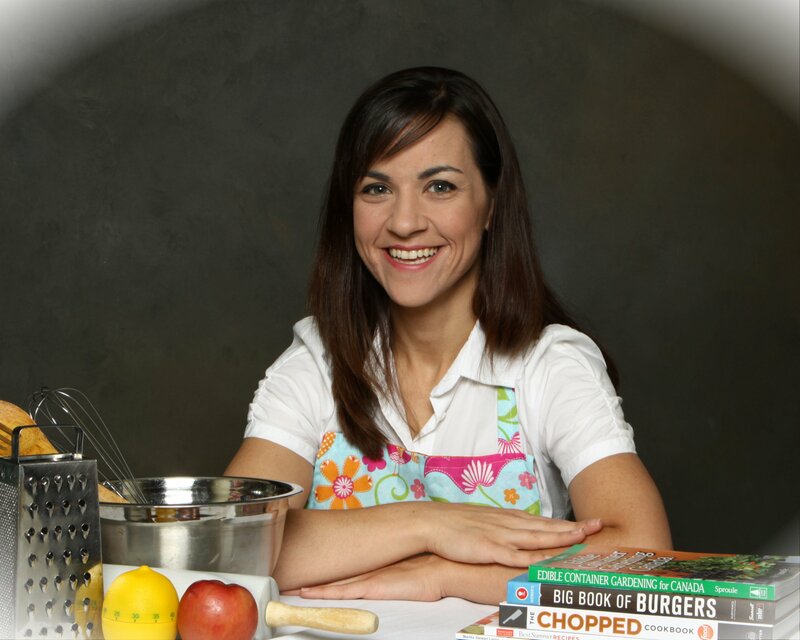 This nutri-foodie is a huge supporter of healthy fundraisers and incentives – just ask her about all her ideas. Sandra walks the talk in her daily life and also practices mindfulness to keep balance. She is the mother of two wonderful young girls, and her experience of also being a stay-at-home parent for 8 years has given her a fresh perspective on what family means to a go-getter and academic mindset. She has a zest for life and new adventures. On any given day, Sandra loves a simple life in a busy world, yet enjoying the messiness of it all! Hi Sandra. I’m looking to send my daughter for some cooking classes. She is 7.5 years old. During a typical week, what times are you available for lessons? Usually Wednesday to Friday evenings and most weekends. Please contact me at sandra@nutritionbites.ca to discuss more specific times. I know this is short notice but Im looking for a cooking class for my daughter who is turning 12 on Sunday Nov 26. She had asked if her and three friends could take a class on the Sunday. Just wondering if this is avalaible?? Nothing like short notice.